My paintings are experiments in balance. They seek to find an equilibrium between chaos and peace; texture and softness; perfection and imperfection; the organic and the contrived. They are visual landscapes that celebrate the fluidity of paint as it relates to the stiffness of mass-produced materials. 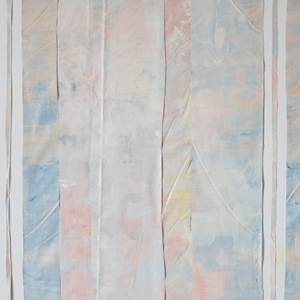 Each painting has a physicality that flirts with the line between two dimensions and three. My paintings are true to their medium. They do not attempt to be anything more than they are.